Discussion in 'Community Discussion' started by Twitch1, Dec 14, 2011. There was a forest fire located inside of the Wilderness Spawn in the South-East corner. It was originally "found" and reported by Jordehhh. 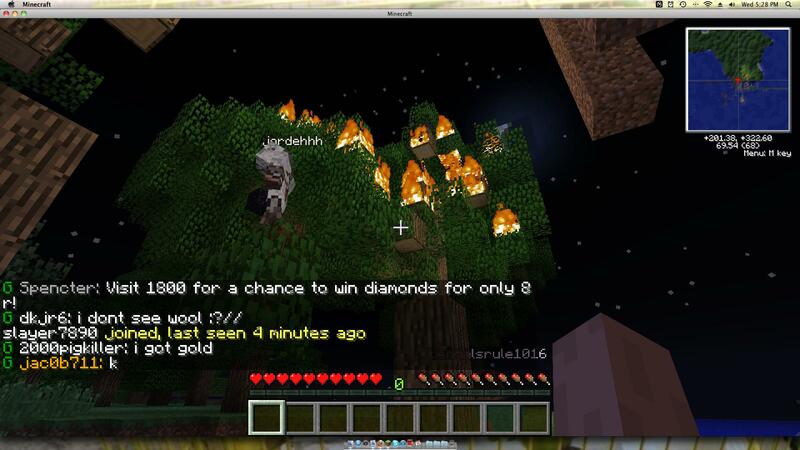 Myself and Malicaii quickly reported to the location and with the assistance of Jordehhh and Colonal_Wolff we were able to contain the fire before it completely destroyed the spawn. Thank you guys for the help and quick reporting of this disaster. Thanks for making me look like a damn fool Jordehhh... You "found" all 3 forest fires and even got me to believe that lucky4life123 was the culprit. You are permanently banned. Your appeal, if filed, will be ignored. The question still remains... WhoDunIt? blockdude233, Historian101, supermaster110 and 3 others like this. Arson in the vicinity of the spawn is already bad; but framing another for it?! Damn, what were you thinking jordehhh? Not Jordehhh's first offense, either. I've heard unconfirmed reports of him lighting people on fire in The End on smp1. At least that won't be a problem any longer. That's why you don't burn stuff, people. It ends badly in most cases. I've witnessed globs of lava just sitting on the earth surface, burning everything near. If I ever catch the goon who's doing this, assuming it wasn't Jordehhhh, a permanent banishment awaits them. I am kidding btw. No, I would never commit arson. Maybe hot-blooded murder, but never arson. Behavioural compulsions: Correlations & differences. 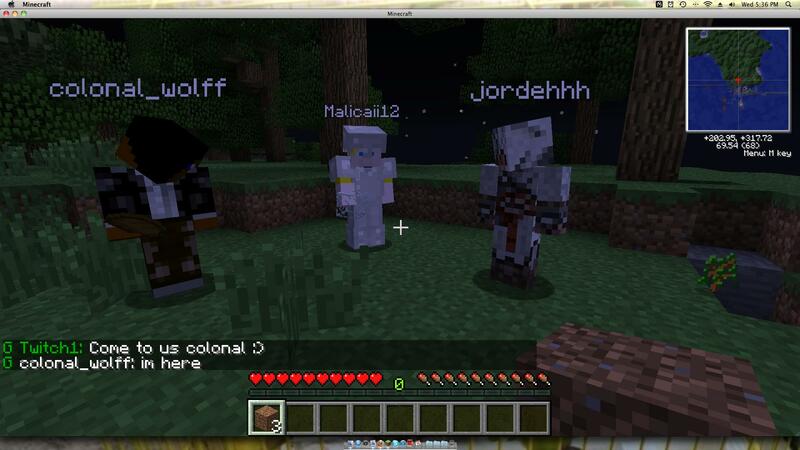 We did have our suspicions that Jordehhh was to blame, but more evidence pointed to lucky4life at the time. I'd like to apologise to lucky on behalf of everyone who accused him so readily, including myself. Feel no sympathy for criminals. matthew12hydro and blockdude233 like this. Wow. The fact that someone would try to ruin the spawn...he deserves it. Props to you guys for saving our lovely spawn point. My worry is that other people may try this now that they know it can be done. The team will make sure it's not possible, though. Just work we shouldn't need to be doing. If only it was easier to prevent. We could destroy everything anywhere near the edge of the spawn, but that would go against the Empire Helpers (which I am a proud member of). We think that we need to fix the wilderness, with more dirt and saplings, but that will make it easier for them to start fires. It's too bad people like this have to go around trying to ruin the server for all of us. One griefer can mean the end to all peace. Thank goodness we have our awesome team of mods and admins to stop them. Malicaii12 and Tikiman678 like this. I agree, I hate that we have to have such precautions against people like this. Why people feel the need to grief stuff is beyond me. Oh well, we do what we must because we can. How did you put out the fire inside the spawn? Does it let you put out/light fires inside the spawn? Or is it a moderator thing? It is an exploit of tree growth patterns and fire spread patterns.. I have an idea. Cover the wooden framework with stone, leaving the windows and glowstone open, then go over it with the inner layer to make it look nice. Hope this helps. P.S. I can't belive that someone could orchestrate this event to the point where it nearly wrecked the spawn.